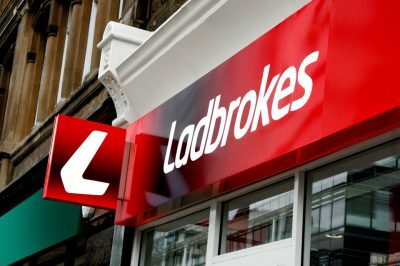 A player who has been trying to withdraw his balance with Ladbrokes commented called the company’s decision to take over £800 as monthly fees from his account “a robbery”. The player, who has been trying to withdraw his balance from the British gambling operator’s website since 2014, revealed that he had credit of almost £1,300 but the company has taken fees amounting to £800 while at the same time suspending him from accessing his online betting account and stripping him of the opportunity to bet with the money or at least make a withdrawal. Yesterday, The Guardian reported that the player who claims to have been barred from accessing his account with the operator has been tryong to make a withdrawal for about three years. Then, the UK-based gambling operator suddenly told him that the company made the decision to permanently close his account. At the time when the “business decision” was made, the balance in the customer’s account equalled to £1,289.29. The case comes to highlight online gambling operators’ freedom to set their own rules on the matters of customer accounts management, and more specifically terms under which players’ accounts are being closed, restricted or certain fees are imposed on. For the time being, all online gambling operators have their own policies on managing inactive accounts (also known as “dormant” accounts”), but the fees imposed on such accounts vary in size. The player also revealed some details of the case. He shared that he has mostly used UKash to fund his account. The system was based on using vouchers purchased for real cash and had once been recommended by the gambling operator itself as a fast, safe, transparent method to make money deposits in a Labrokes account, which was also easy to operate with. Unfortunately, it is no longer functioning to date. The British gambling giant also demanded from the player to provide it with evidence for his payments, presenting the company with the receipts which proved he had purchased the UKash vouchers used for making deposits in the account. According to the customer, this was not necessary at the time when he required to make a withdrawal of his existing balance, as the company had the all voucher numbers used to fund the account. He also protested against the operator’s demand to see the receipts, as no such requirement was mentioned in the website’s terms and conditions. Apart from that, it also became clear that from March 2016 deductions amounting to 5% of the existing customer’s balance were made under Ladbrokes’ policy on the accounts that have been inactive. As a result, the player found that an overall amount of £827.11 was missing from his account by November 2017, when the available funds in the account amounted to only £511.12. Since then, the customer were no longer able even to sign into his account, so he can only guess that the company has continued to make 5% deductions over the following months, too. 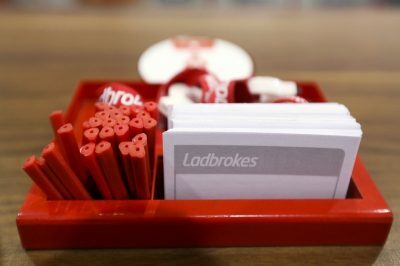 As revealed by The Guardian, a Ladbrokes’ spokesman shared that an investigation has been given a start and refused to make further comments on the case on behalf of the company.